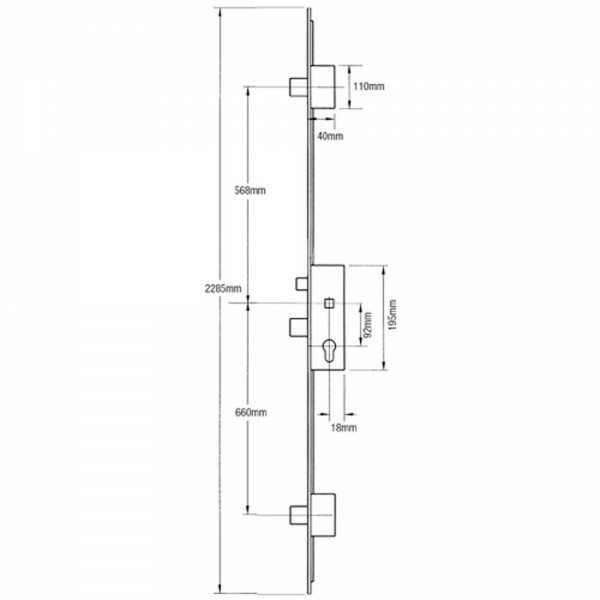 The GU Europa MR2 3 deadbolts short has 1,228mm between the outer deadbolts and has a 16mm square ends faceplate. 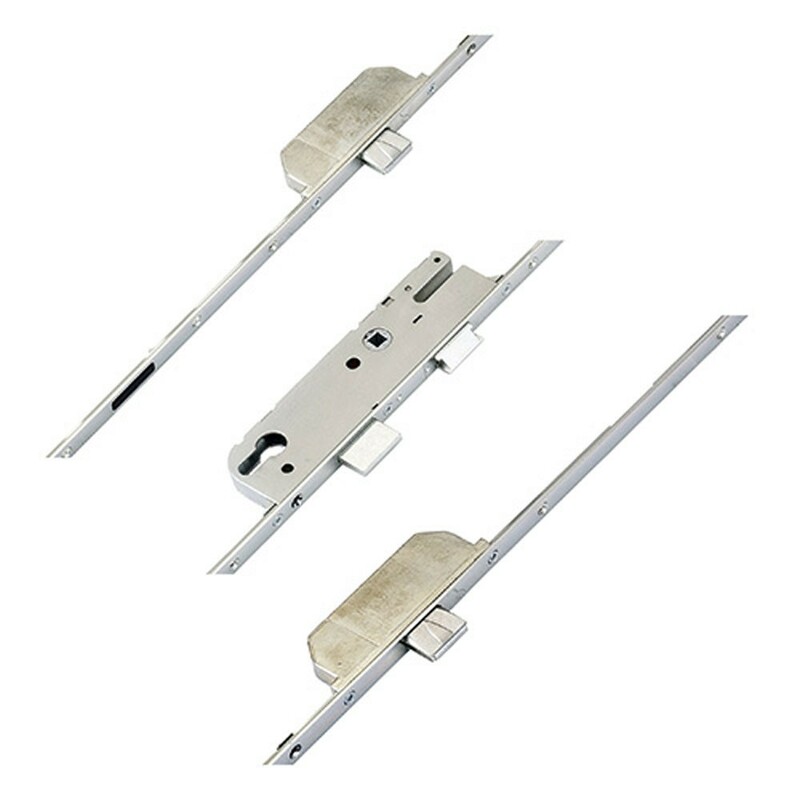 Locking points are engaged by lifting the lever and locked by turning the key. To change handing, push a flat bladed screwdriver into the small rectangular slot above spindle and pull out latch at same time. Reverse and reinsert.